What do you get when you combine great weather, exquisite wild life and game as well the most awe-inspiring natural landscapes? It’s not a scene from an episode of National Geographics but that is exactly what a South African holiday experience feels like. South Africa is one of the few countries that can offer more than beautiful beaches for a holiday getaway. With nine individual provinces (Gauteng, Eastern Cape, Free State, Kwa-Zulu Natal, Limpopo, Mpumalanga, North West, Northern Cape and Western Cape) each notorious for their own culture, history and traditions, this is indeed one of the few countries that put holiday brochures to shame with its array of holiday offerings. South Africa’s historical background makes for the perfect backdrop for tourists, visitors, backpackers and honeymooners from anywhere in the world. Hospitality here is not something we do but it is woven into our culture and social structure so much so that we’ve even coined a word for it that goes ‘UBUNTU’ which means ‘the spirit of humanity’. It’s a given that South Africans are one of the friendliest people in the world, a truth that was further demonstrated by the 2010 World Cup. Here in South Africa we pride ourselves in our diverse, multi-dimensional and multi-lingual culture. This element alone makes ours a unique country that is full of colour and character. There is no way you can holiday here and leave without saying it was a different experience. Whatever holiday experience you are looking for, there is a province that caters for your holiday needs and wants right here in the heart of South Africa. Sure, many countries have beautiful beaches and great sand but none of them have South Africa’s weather. Durban beaches and Natal coast offer great holiday resorts, backpackers resorts and student accommodation offering great seashore views. The Cape Town coastal front offers a variety of holiday accommodation. If it’s in-doors then it doesn’t count as a Proudly South African holiday experience. For those out-door loving, bird watching fanatics and a nature enthusiast the west coast is the place for you. It is a haven of camping sites, chalets and caravans. Visit places like the Wolfkop Caravan Village or the The Beach Camp in Paternoster. Some of these names you might not be able to pronounce but when you get to the West coast you won’t regret packing those old pair of camouflage shorts and metal boots. We are talking wild life, real life animals in 3D (So much better than Animal Planet) and the Big 5! This is for the vacationer who loves animals and everything nature. Their idea of relaxation is fishing, sightseeing and searching for buffalos in a game ranger vehicle. The province to visit is Mpumalanga, known for its immaculate wild life and beautiful game reserves. 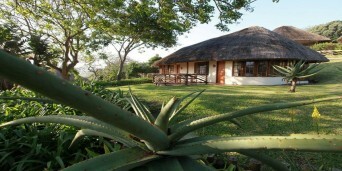 The Game lodges’ and Bush camps they offer are far from primitive; it’s across between nature and pure luxury. You’re in South Africa, a land that is rich with a history that’s enough to make some people travel just to satisfy their curiosity. When you are holidaying in the self-catering resorts in Gauteng, you might want to travel to the Union Buildings in Pretoria just to pay respect to the past leaders of the country. Robben Island in Cape Town is also monumental. For a more relaxed tour travel to the Cape Winelands to see how wine is made or take trip to Table Mountain which offers an astonishing view of the Cape from up there. Check out Ushaka Marine in Durban for great sea life and unforgettable dolphin watching sights or Cape Town during its whale calving season. Every province in South Africa has a great motel, hotel and B n’B you just have to choose a package that suits you. If your reason for being here is to rest for a business trip or more formal outing then choose Gauteng. It is the ideal place for the workaholic who came to get his mind off work for a while. Stay at the Faircity Falstaff Hotel, Sandton or at the Leriba Hotel and Spa in Northern Gauteng. The surrounding casinos, night clubs, shopping malls and pristine golf courses give you a ‘Vegas’ feeling ,only you are miles away from home and it’s ten times better than being in Vegas. South Africa is a melting pot of culture, people and traditions so it’s difficult to have the same rules that apply to all the provinces. But just like any other holiday spot that you go to, you have to keep in mind that it’s not home and no matter how friendly people may appear to be, there are always those who prey on the vulnerable so here is a quick guide to a great stay here in South Africa. PLAN. Always make it a point to book in advance and do some research about the place you are going to. DON’T ask random people when you feel lost or unsure of where you are going. Instead ask at a nearby petrol station or restaurant. Travel as light as possible if it’s not a family vacation. DO NOT accept any offer to carry your bags. Keep your personal belongings at your person at all times, except during the check at the airport. Carry insect repellent for areas like Game Reserves and Bushes. Buy a good sun block of SPF40 plus. The climate can go up to 35 degrees in some provinces during the summer. And lastly, have fun, you’re in the mother land!